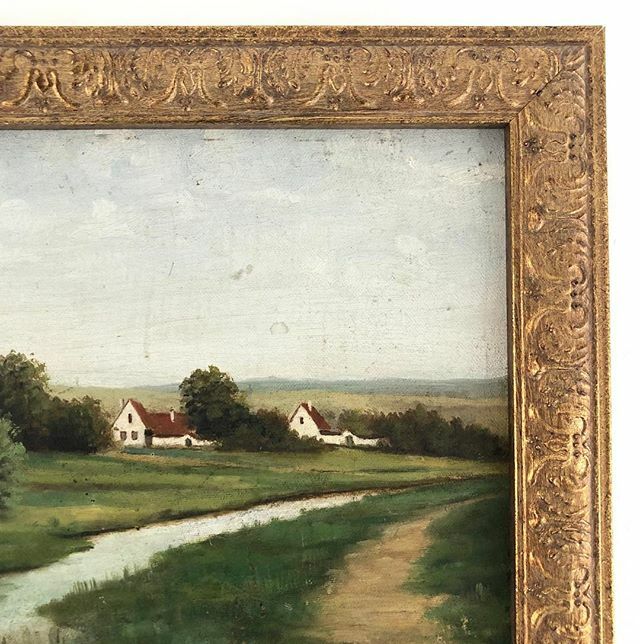 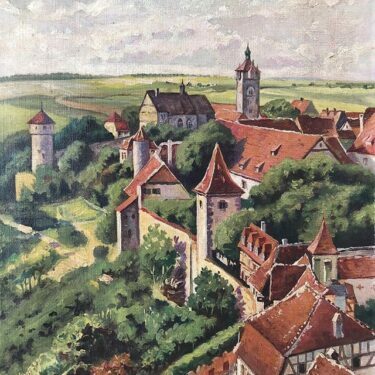 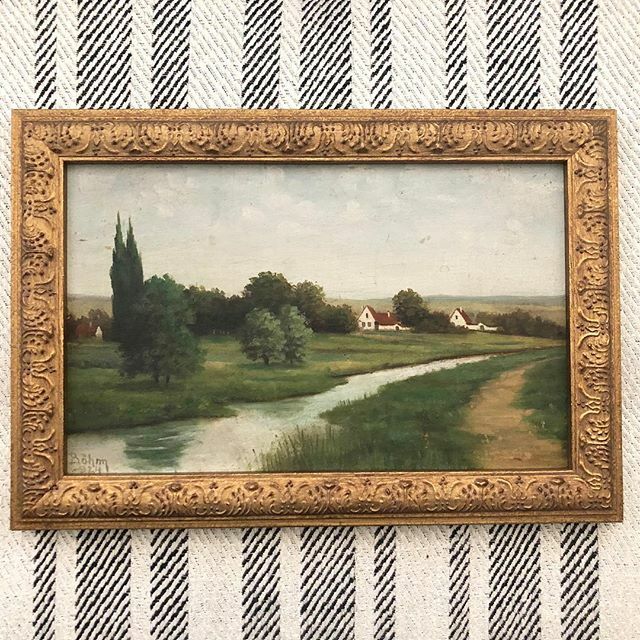 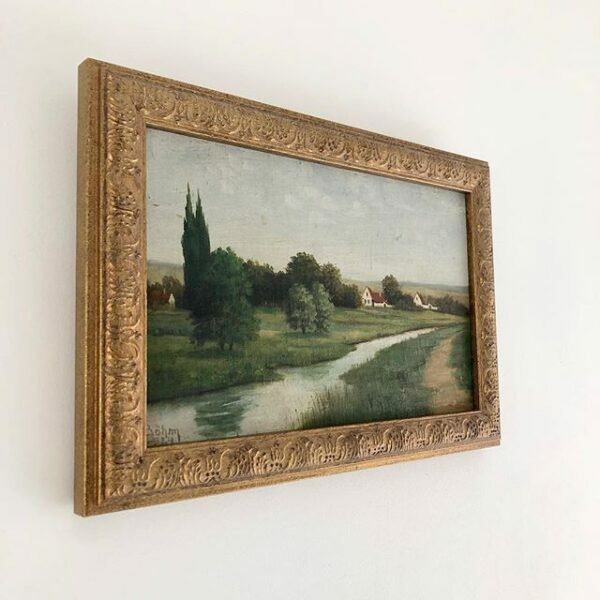 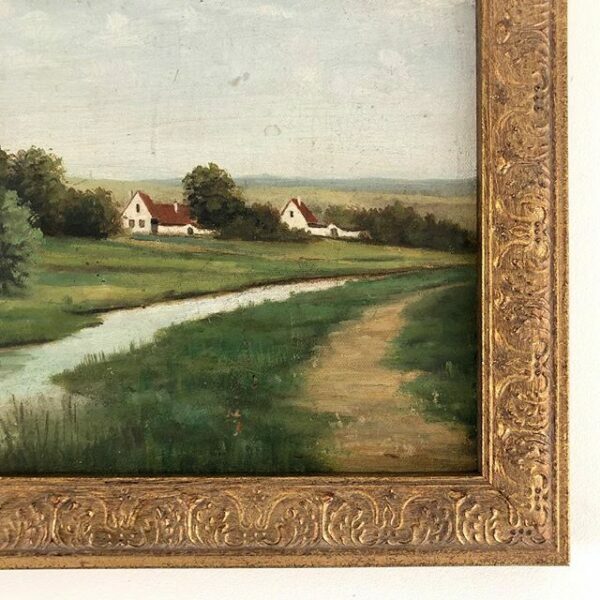 A lush and green European landscape painting, a creek runs through the countryside fields on a fine day, and the red roofed cottages sit cosily in the distance. 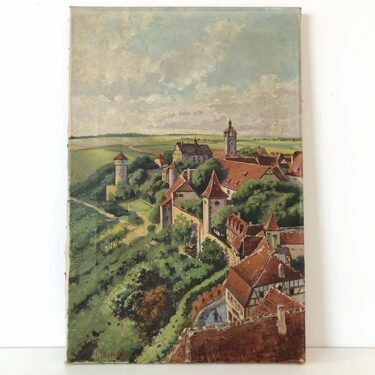 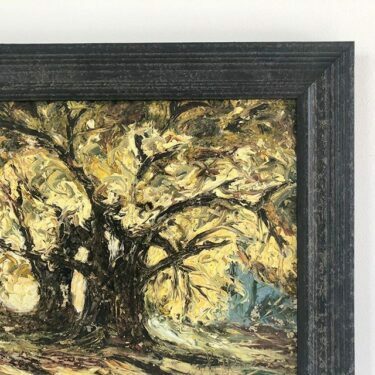 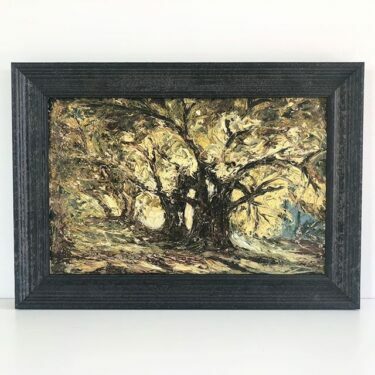 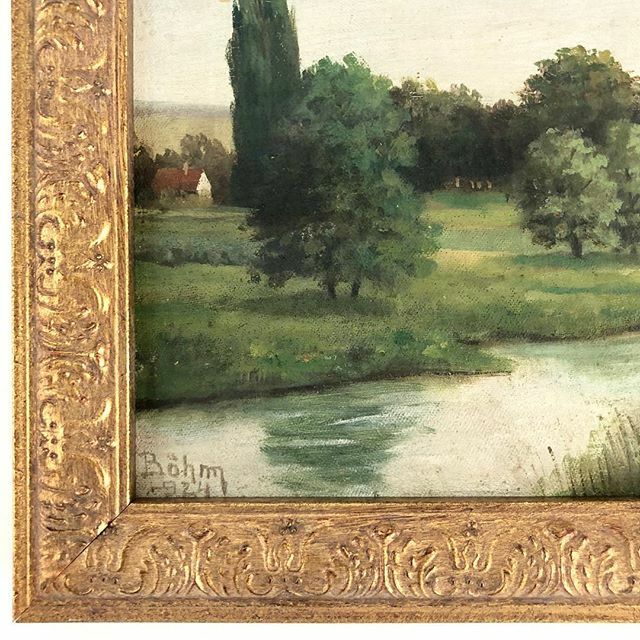 Oil on board, signed and dated lower left, Bohm, 1924. 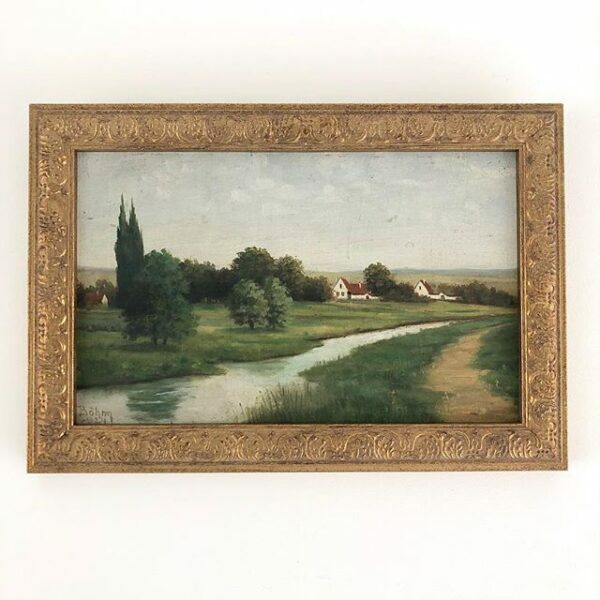 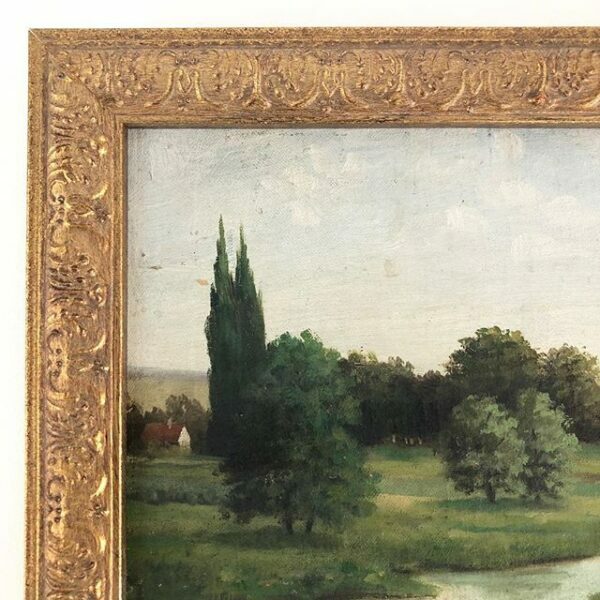 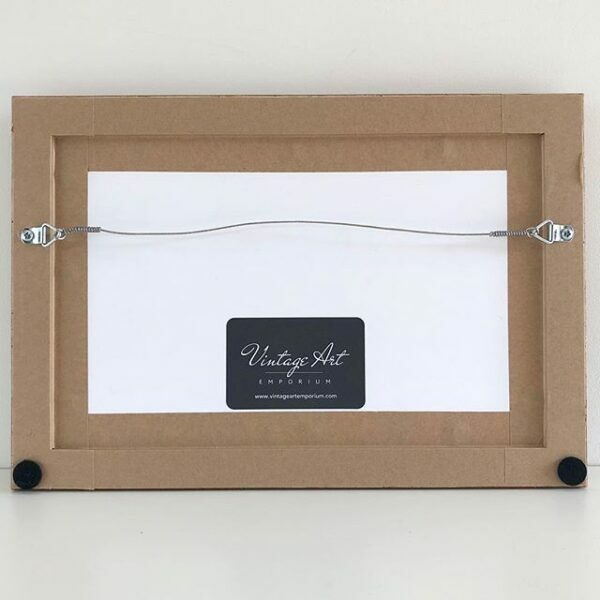 Professionally framed in a muted gold gilt wooden frame.